Goalkeeper: No need to deliberate over who will start in goal as Alisson is certain to keep his place between the sticks unless the Brazilian international suffers a late injury ahead of the game. Simon Mignolet will once again be named on the bench. Defence: Klopp went with Joe Gomez at right-back and Dejan Lovren alongside Virgil van Dijk in the middle of defence during the draw with Manchester City before the international break. Lovren performed well against the defending champions but I think we’ll see the Croatian international returning to the bench tomorrow. 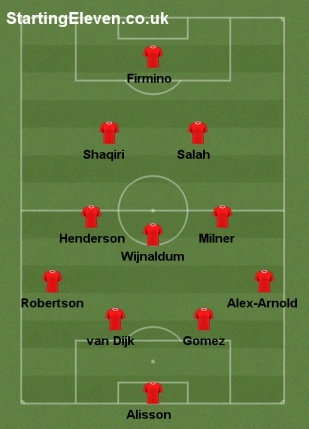 That would allow Trent Alexander-Arnold to return at right-back with Gomez moving back in alongside van Dijk – who’s expected to be passed fit despite nursing an on-going rib injury. Andrew Robertson is almost certain to keep his place at left-back with Alberto Moreno once again among the substitutes. Midfield: Liverpool are set to be without Naby Keita for at least the next two weeks after the midfielder suffered a hamstring injury while away on international duty with Guinea earlier this week so he’s expected to miss the trip to Huddersfield. New Customers can get Liverpool at an enhanced 25/1 to beat Huddersfield. Max Stake £1. Winnings paid in free bets. Full T&Cs Apply. 18+|Gamble Aware. However, there is better news on James Milner as he was able to take part in training yesterday after recovering from a hamstring problem that he picked up against Manchester City so he should start in the middle of the park. Fabinho is pushing to make a rare start as Klopp continues to ease the Brazilian into first team action following his summer move from Monaco but I think Georginio Wijnaldum will retain his place along with Jordan Henderson in midfield. Attack: Klopp is likely to make a change in attack as Sadio Mane is a major doubt for the game. The 26-year-old had surgery on a broken thumb on Wednesday after sustaining the injury while away with Senegal and he wasn’t able to train yesterday so he looks likely to miss out tomorrow. There is better news on Mohamed Salah as he was in full training yesterday and is likely to start against Huddersfield after making a swift recovery from a minor muscle injury that forced him off during Egypt’s win over Swaziland last week. 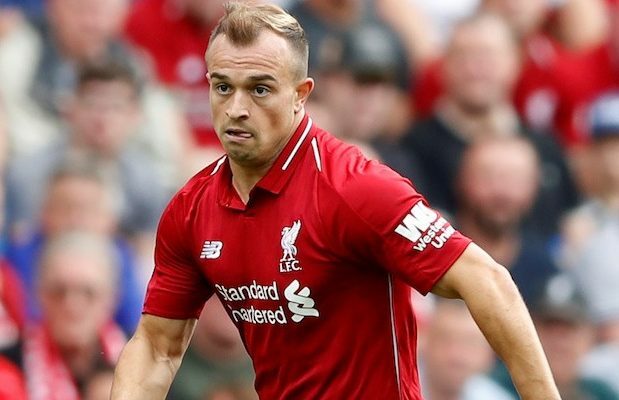 Xhedran Shaqiri could come in to the attack if Mane misses out while Roberto Firmino is likely to keep his place up front despite Daniel Sturridge pushing for a recall following some impressive displays lately.